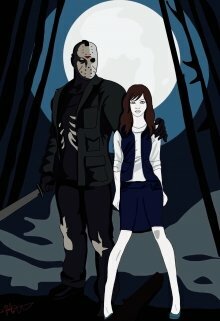 Description of the story "Friday the 13th: Kidnapped"
A Psychology student Sherry Cooke finds herself in an abandoned camp in the forest, wondering how she could get there from the city center. All she could remember was walking home when suddenly a hand was pressed against her mouth, and darkness enveloped her. Now she has to look into the eyes of fear when she meets the infamous Crystal Lake Killer. the story was ok. Its just there was lot of murder and sherry accepted all this which I found quite out of place. I understand about her killers. But what about some other whom they didn't even know are good or bad guys . I felt sorry for Kylie and her bf also coz they didn't seem like that bad people and for soon be marrying couple Chris and Chelsea they were inocent too. Other than that it was ok.
Elina Dark, surely I'll watch. I'm really excited to watch it. Mark Pearson, Thanks, I'm happy you enjoyed it. Mike Two, Thanks, glad you liked it.